My next BIG project after the ebook! 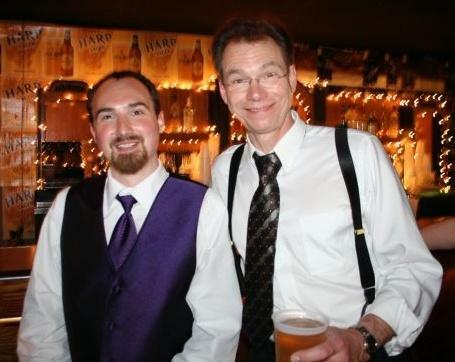 My Pa (father) and I at my wedding reception. Today is going to be something much more personal. 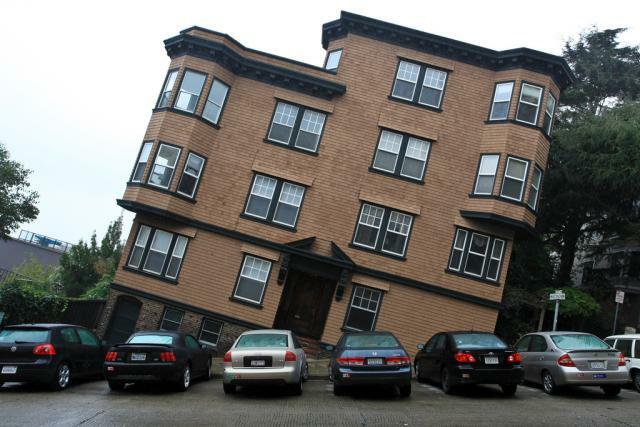 Everything takes twice as long as you think it will - even if you take that into account. Back in March, I told you that my wife and I wanted to quit our jobs and work full-time to create a paid language learning product. 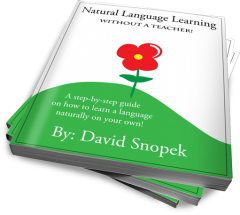 To celebrate this HUGE decision and to thank all of you for your continuous support over the years, I decided to write a FREE ebook about language learning for you. I really thought I'd publish it 2-3 weeks after that announcement, but it wasn't completely finished until May 10th (exactly 6 weeks after the initial announcement). It seems my father was right! In general, the ebook project was much more difficult than I thought was going to be. I was a little disappointed with how long it took. But when I finally published it, many people were amazed that I accomplished all that in even 6 weeks. :-) It seems they thought it was going to take me even longer! In any case, I needed a few weeks after the ebook to rest. But now I'm ready to start talking about our paid product! I can't wait to hear what you think! Please read this article and tell me honestly if this is something you'd be interested in. Read more to learn about our upcoming paid language learning product! I began learning languages on purpose. But I started helping others in their language learning journeys entirely by accident! From my first YouTube video in Polish. 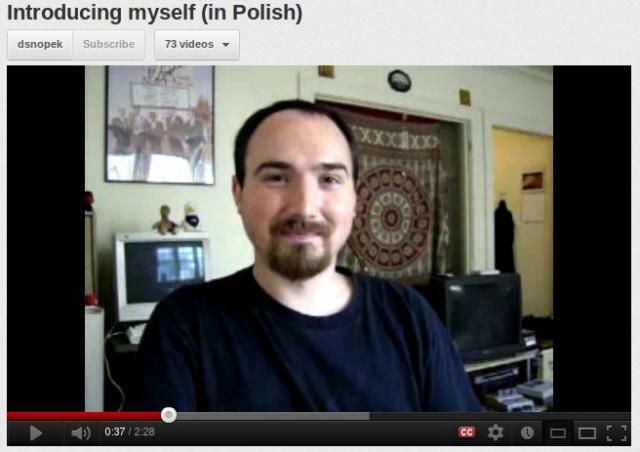 I recorded my first video on YouTube three years ago simply to practice speaking Polish. I had no idea that anyone beyond the handful of people who read my old blog would actually watch it (let alone 12,000 people). But it was an even bigger surprise when people started asking me for language learning advice! Later I started recording videos specifically about language learning. Then I founded this blog to write about it exclusively (my old blog was also about software development - that's what I do for a living). Eventually, I created Bibliobird, an open source web application for language learning. Over the past three years, I've had the opportunity to help hundreds (if not thousands) of people. I've also learned A TON from them and their experiences. This has led me realize that helping people learn languages is my true passion! Up until now, all my language learning activities on the internet have been a hobby -- an extremely time-consuming hobby! I barely have enough free time to respond to all the e-mails I receive, let alone write new articles, record new videos, or improve Bibliobird. In fact, at the end of last year, I seriously considered shutting down my blog and Bibliobird because I didn't have enough time for them. Instead, in January, I decided to quit the promising tech startup I had founded in order to pursue my dream of turning my passion for language learning into my full-time job. Since the beginning of the year, I've been talking with lots and lots of people about their problems, needs, fears, and desires with regard to language learning. Based on this, I believe there is the opportunity for us to create some really unique and powerful products for language learners and make a good living doing it. But we can only do this if we have the time and resources to focus on it 100%! Quit your jobs?! That's too risky! When I first announced that we wanted to quit our jobs to work on this, several people got concerned that we were taking too big of a risk. We are going to pre-sell the first product before we create it in order to get enough money so that we can quit our jobs and do nothing but work on it. If we don't get enough money in the presale, all the money will be refunded and we won't create the product. And we still have our jobs. But if we do make enough money and create our first product, we hope that the revenue from it will allow us to continue creating subsequent products. So, here's what I'm thinking of doing ... and I want your feedback. During the presale, the product will be available at a discount, of course. So, if you help us out and buy it before it exists, you'll be able to get it cheaper than if you wait until it's finished. But I'm also considering offering a limited group of people (maybe 20) lifetime access to every paid language learning product we ever create. We have big plans and hope to create several products every year! You can't make a sustainable business by offering cheap lifetime access to all your future products, so this is something we're only planning to do ONCE! We want to make sure the product is ready before it's officially released. So, in exchange for such a great deal, we need your feedback on the product (probably in survey form) and help testing it while we're still creating it! So, what is the product? Well...that'd take me at least a whole article and maybe a video to explain. :-) I'll tell you about it soon! But, of course, we're going to need your help to decide exactly what should be included, what it should cost, and many more details. For now, please let me know what you think about the presale idea! Do you think this is a good idea? Would you potentially buy the product or lifetime access to all our future products? Do you think we'll achieve our dream? Please leave a comment below! Thanks! Heh, yeah, I been taking an online marketing course since January. :-) I've learned a lot! Anyway, I hope it will work out. Surely it will :)) Personally I have no doubts! I also gave away Skype lessons in the very beginning and asked my readers to fill out a survey on what the ebook should be about. :-) It worked out very well for me! I wish you similar success with your ebook! No, I didn't use Google AdWords like that but that sounds like a brilliant idea! How exactly are you going about that? Do you have a landing page for each title idea? Anyway, this is probably getting a little too technical into the marketing stuff. :-) Maybe we should continue talking about it via e-mail. But I can't wait to see what you come up with! I think some people might be skeptical about buying a product that doesn't exist, but maybe you could have a guarantee of some kind, maybe like Benny Lewis has, that could provide reassurance. I would love to help with the development anyway I can! Yeah, I understand that concern. I know that most people simply won't buy a product before it exists. But I'm hoping to convince some people with a reduced price and the lifetime access to future products. :-) A guarentee is a great idea, thanks! I'll see what I can come up with. The idea is awesome. I´m waiting for some more details about the product. I don't know if I would buy the product or not (financial reasons), but it would definitely be interesting! Looking forward to getting more details. Thanks! I'm glad that you found out about Anki and that it's working out for you! More information on my project is coming within the week (I hope). that depends on the price. I'm not sure what kind of products would you like to sell but I trust you. I mean you do a great job with LinguaTrek so I'm sure that you'll do your best to provide high quality products. Btw, you can count on me If it's not an ebook ( It's hard for me to find some spare time to read ). I admire you for taking the risk to follow your passion, I hope it works out well for you. I discovered your blog through Learn Real Polish and have downloaded your ebook which has been really useful to me, e.g. using Anki, which I hadn't heard of before. I also love reading (and listening to Audiobooks), but I was really intimidated by the idea of tackling a whole book in Polish, but your experience of reading Harry Potter has inspired me to go for it! Thanks also for the information on where to get Polish audiobooks as it's not that easy to find both written and audio versions in a foreign language. As for buying your products it would depend on the price really. I personally am far more likely to buy a smaller product, with less content than something big which is more expensive. For example, on Learn Real Polish I have bought all of Piotr's extended stories and some of his other material too over a period of several months as it's not at all expensive (in fact, he could charge more for his stories and it would still be great value). Thanks! I'm glad that you've found me ebook helpful and are having success with Anki. That's awesome that you're going to read/listen to a full book/audiobook! Are you doing Harry Potter or something else? Anyway, please let me know how it goes! I wish you further success with your Polish! I really look forward to seeing what this is, but with regards to the presale idea: instead of doing this all-or-nothing deal have you considered possibly starting out by offering a smaller product or two to get some sort of income stream flowing and then use that to sort of work your way up to something you can quit your job for? I'm thinking like an e-book or a small but useful application you could sell for >$10 or something like that, just something you could maybe make a few hundred to a couple thousand dollars a month on or something to get you started. Save ALL of that income plus whatever you can save from your job until you've got at least enough savings to live off of for a year or 18 months or whatever you think makes sense given your situation, then do a larger project. Thanks for your concern. :-) I have considered it - the problem is that I already spend basically ALL my free time creating free language learning content and helping people, including: writing e-mails, articles, videos, Bibliobird (tech support, creating learning materials, adding features, forum). You'd actually be surprised how big a percentage of that time is just responding to e-mails! I get 50-ish emails a day connected with this blog, my YouTube videos or Bibliobird. If I were to respond to them everyday it'd take me 1-2 hours everday. What I'm doing now is basically sacrificing 1-2 whole days a week in just responding to e-mails. In any case, I'd have to stop doing all that stuff to have enough time to create any paid product. I don't want to have to say, "I'm no longer helping anyone for free, it's all commercial now." Maybe that'd be smart :-) but I'm just not willing to that right now. But even if this fails, I think we'll be fine. :-) We always seem to manage. When the financial crisis came in 2009 and we both lost our jobs (without any planning!) we got by. I think we could get by with this too. But thanks again for the advice! If the presale fails, maybe the next best route to try will be what you're suggesting. Good lord, I don't get anywhere near that much e-mail, I think I should probably be thankful (then again I just started posting again recently after about a 6 month hiatus)--have you considered outsourcing a bit of that work (the e-mails and whatnot) to your wife? Could she help? Something very simple you could do would be to offer one-on-one consulting and tutoring for a price--continue responding to the basic e-mails as you are now, that's fine, but if someone wants in-depth, step-by-step, hold-my-hand-and-tell-me-exactly-what-to-do-and-how-to-do-it, then offer that, but for a price. Like I said, you could start small, make it a reasonable fee like $10 an hour or something (that's about what decent language tutors charge for one hour skype sessions right now). Just an idea. Anyway, you know your situation better than I do, I'm just throwing stuff out there for consideration. Regardless, I wish you the best of luck and look forward to seeing what you come up with. I've done some Skype English lessons in the past. I'm hoping to do something more scalable than that, but we'll see. Thanks for the suggestions! Ah ok, well then yeah there's not much point in doing it if you'll have to pay for it and you're doing it for free. You're welcome, and best of luck. Are you going to sell this product on the same price in all countries? For example exchange rate between Polish Złoty and U.S. Dollar makes it 3 times more expensive for polish customers. I think you should consider it because you can loose clients in other countries even if your product will be cheep in your currency (for Americans). I'm aware of programming and marketing difficulties which are connect with this. What do you think? Well, I'm not entirely decided on price. I'm going to need your help deciding what it should be! There will be more information in the next blog post on this topic. But what I'm thinking should be cheap enough for a Pole. I was about to record a longer video about language learning etc. as I finally have a lot of free time (no school - yaaay :) ) and starting next week - I'll be seriously learning french, from the very beginning and writin and app to ease it using my method (but it's gonna take a while, cause I've never wrote anything for Android/iOS and I gotta play for a while with their APIs and figure out some stuff). And now I read such a cool news! I'm waiting for more details on what it's going to be, but I'll buy it anyway. I'm hoping for a simple, fairly cheap app or solution with additional premium content or subscription. It all depends on what is your idea, it'd be cool if it could be kinda universal solution for many languages, I would test it then with my French project. I'm thinking of even making a separate vlog for this purpose and make it a one big experiment on both learning this particular language and documenting my progress, as well as testing some methods of learning. Your projects sound really cool! I wish you the best of luck with them and definitely let me know how they go! More information on my project should be coming within the week (I hope). Quiting your job and going totally to an online business, is really risky, you have to be sure you have a steady flow of earning from the online business before quiting your job, I know from a bad experience, but the difference is I had no other option, so I had to fight to get there. Wishing you all the best and hopping to ear you are a successful online entrepreneur.